Draft: 2011, San Diego Padres, 2nd rd. Austin Charles Hedges…son of Charlie and Pam...signed a letter of intent to play at UCLA before signing with the Padres as a second-round selection in the 2011 First-Year Player Draft...graduated from Junipero Serra High School (CA)…rated as the second-best catching prospect and 12th-best position player prospect in the 2011 Draft Class by Baseball America…his favorite restaurant in San Diego is Juniper & Ivy...his favorite musical artist is Kygo and his favorite TV shows are Game of Thrones and How I Met Your Mother...his all-time favorite baseball player is Pudge Rodriguez...roots for the New England Patriots...signed by Padres scout Josh Emmerick. Made a club-leading 80 starts behind the plate for SD, setting career highs in AVG (.231), OBP (.282) and SLG (.429)...Among NL catchers, he ranked fourth in HR (14), seventh in XBH (30) and tied for ninth in RBI (37)...Had a career-high five RBI on 4/28 vs. NYM, going 3-for-4 with a double...had four three-hit efforts, the most he accrued in a season...Hit .173/.235/.293 with 30 SO against six BB between March and April before being placed on the 10-day DL on 5/1 with right elbow tendonitis...Played in 11 rehab games for El Paso (AAA) and Lake Elsinore (A), missing 44 games with SD before being reinstated from the DL on 6/24...Hit .308 in July with a .366 OBP and a .538 SLG...was his highest average, OBP and SLG in a calendar month in his big league career, and his four HR in that time tied for second-most of any NL catcher...Hit safely in a then-career-high seven consecutive games from 8/4- 12 before hitting safely in a career-high eight straight from 8/29-9/9...Tripled twice during the course of the season, logging his firstcareer three-bagger on 8/30 vs. COL...Took 50.8 percent of the pitches he saw, the highest mark in a season in his career (previous: 47.9 in 2015)...Made 9.29 putouts per nine innings, ranking sixth-most of any catcher in the ML and second-most of any NL catcher behind LAD's Yasmani Grandal's 9.67...His 11 errors were the most he made in a single season (previous was 10 in '17), and they tied for the most of any catcher in 2018 with CHC's Willson Contreras and PHI's Jorge Alfaro...Owned a .400 AVG when swinging at the first pitch (12-for-30) with three doubles, one triple, two HR and eight RBI. Made his first career Opening Day roster and made 109 starts behind the plate, appearing in 120 games total... His 18 home runs ranked tied for eighth among all MLB catchers and tied for fourth in the NL…the 18 long balls tied for the fourth-most in a season by a Padres catcher and the most by an SD backstop since Mike Piazza set the franchise record with 22 homers in 2006... Started the season 0-for-24 at the plate and responded by going 15-for-54 (.278 average) to close out April... Became the first catcher in Padres history to hit six home runs in a nine-game span from 4/15 to 4/24 (ELIAS)…during the stretch, homered in back-to-back games on 4/15 and 4/17 and in three consecutive games from 4/20-22…also homered in three straight later in the season from 5/30-6/3... Collected a career-high four RBI in the second game of the Padres' three-game sweep of the defending World Series champion Chicago Cubs on 5/30 at Petco Park... His 10th homer in the Padres' 56th game of the season on 6/2 vs. COL marked the fastest a Padres club has ever had four players reach double digit homers (also: Wil Myers, Hunter Renfroe and Ryan Schimpf), passing the previous record of 67 games in the 2000 season... Recorded his first career multi-home run game on 7/7 at PHI and also collected the game-winning RBI on a sacrifice fly in the top of the ninth inning in SD's 4-3 win... Delivered the game-winning RBI for the second straight game on 7/8 at PHI with a RBI single in the seventh inning…per ELIAS, it had been over four years since the last time a SD catcher had the game winning RBI in back-to-back team games (Nick Hundley in 2013)…before that, it had not happened since Mike Piazza did so in May of 2006... Posted a .990 fielding percentage (10 errors in 987 total chances). Spent the majority of the season with Triple-A El Paso, hitting .326 in 82 games for the Chihuahuas before being recalled on 9/21 and playing in eight games for the Padres, including seven starts behind the plate...Played in 82 total games for El Paso and hit a career-best .326 (102-for-313) with 20 doubles, 21 home runs, 82 RBI and 55 runs scored...Became the first player since 2009 to be earn back-to-back Pacific Coast League Player of the Week honors for the weeks of June 20-26 and June 27-July 3...hit a combined .556 (25-for-45) with 10 homers, 28 RBI over the 12-game span, including a stretch of five consecutive games with a home run from 6/21 - 26 and a Triple-A El Paso record-eight RBI in a two-home run performance on July 10 at Salt Lake...Hit .316 (12-for-38) in the PCL playoffs this season during El Paso's championship run with three doubles, two homers, six runs and five RBI...Named to the PCL post-season All-Star team. Made his Major League debut in 2015, playing in 56 games total for San Diego, including 41 starts behind the plate...Began the year with Triple-AEl Paso, playing in 21 games having his contract selected on 5/4 for his first career call-up, after hitting .324 in 21 games for the Chihuahuas…spent the remainder of the season with the Big League club....His .324 average with El Paso at the time of his call-up ranked fourth-best among catchers in the Pacific Coast League, while his .914 OPS for El Paso ranked third-best among PCL catchers....Made his Major League debut the day of his call-up, on 5/4, with a pinch-hit appearance against the Giants at AT&T Park....In his second game on 5/6 at SF, made his first career start behind the plate with Ian Kennedy pitching, and collected his first career hit while catching all nine innings of the Padres 9-1 victory that day....Hit his first career home run on 6/16 vs. OAK in the Padres 6-5 loss…at 22 years, 302 days old that day, was the fourth-youngest catcher in Padres history to hit a home run....While behind the plate tossed out 15 of 48 attempted base stealers (31.3%)....Padres pitchers pitched to a 3.85 ERA (150 ER, 350.2 IP) with him behind the plate, the third-best catcher ERA among rookie catchers in the Majors in 2015 (minimum 300 innings caught) and third-best ever by a Padres rookie catcher (minimum 300 innings caught)....Of his 41 starts behind the plate, the majority came with Tyson Ross on the mound with 17 starts with Ross....With runners in scoring position he hit .259 (7-27) for San Diego....Rated by Baseball America as the No. 4 prospect in the Padres organization heading into the season....Rated by MLB.com as the fourth-best catching prospect in all of baseball heading into the season....Following the season, played in 21 games for Leones del Escogido in the Dominican Winter League, hitting .236 (17-for-72) with three home runs and five RBI. Spent the entire season with Double-A San Antonio, playing in a career-high 113 games....Enjoyed his best month of the season in May, hitting .286 (26-for-91) with 10 doubles, three home runs and 14 RBI in 25 games....Started 104 games behind the plate, posting a .985 fielding percentage (15 errors in 1,005 total chances)....Tossed out 50 of 131 attempted base stealers (38.2 %). Split his season between Single-A Lake Elsinore and Double-A San Antonio, spending a majority of the year with the Storm...Began the season with Lake Elsinore, playing in 66 games with the Storm before being promoted to San Antonio on August 1...Selected to the roster of the US Team in the SiriusXM All-Star Futures Game...Ranked second on the Storm with 22 doubles...Won the 2013 Captain's Catcher's Award, honoring the most outstanding catcher in the minors...Played for Peoria in the Arizona Fall League following the season and was a Fall Stars Game selection...Enters 2014 as the No. 24 prospect in baseball according to MLB.com. 10 home runs and 56 RBI in 96 games for the TinCaps...Honored as a Midwest League mid-season and post-season All-Star...Hit .286 (8-for-28) over his fi rst nine games before landing on the seven-day DL on April 18...Reinstated from the DL on April 26 and hit .278 (86-for-309) throughout the rest of the season...Led all Midwest League catchers in doubles (28) and RBI (56) and ranked fourth in home runs (10)...Posted a .986 fielding percentage in 94 games at catcher, 93 starts…committed 12 errors in 863 total chances…tossed out 47 of 149 attempted base stealers, 31.5 %...Named the No. 7 prospect in the Midwest League by Baseball America following the season...Named the No. 6 prospect as well as the best defensive catcher in the Padres organization by Baseball America prior to the start of the season. Eugene after signing as a second-round selection in the Draft...Saw his first professional action with Peoria in the Arizona Summer League, hitting .313 (5-for-16) with a home run and four RBI in fi ve games...Played in just four games with Short-Season Eugene to end the year...Named the best defensive catcher in the Padres organization by Baseball America following the season. June 24, 2018 San Diego Padres activated C Austin Hedges from the 10-day injured list. June 17, 2018 San Diego Padres sent C Austin Hedges on a rehab assignment to El Paso Chihuahuas. June 12, 2018 San Diego Padres sent C Austin Hedges on a rehab assignment to Lake Elsinore Storm. May 21, 2018 San Diego Padres sent C Austin Hedges on a rehab assignment to El Paso Chihuahuas. July 30, 2017 San Diego Padres activated C Austin Hedges from the 10-day disabled list. July 28, 2017 San Diego Padres sent C Austin Hedges on a rehab assignment to AZL Padres. July 27, 2017 San Diego Padres placed C Austin Hedges on the 10-day disabled list. Concussion. July 18, 2017 San Diego Padres placed C Austin Hedges on the 7-day disabled list. Concussion. September 21, 2016 San Diego Padres recalled C Austin Hedges from El Paso Chihuahuas. June 9, 2016 El Paso Chihuahuas activated C Austin Hedges from the 7-day disabled list. April 23, 2016 El Paso Chihuahuas placed C Austin Hedges on the 7-day disabled list. April 3, 2016 San Diego Padres optioned C Austin Hedges to El Paso Chihuahuas. October 15, 2015 C Austin Hedges assigned to Leones del Escogido. May 4, 2015 San Diego Padres selected the contract of Austin Hedges from El Paso Chihuahuas. April 4, 2015 C Austin Hedges assigned to El Paso Chihuahuas from San Antonio Missions. January 26, 2015 San Diego Padres invited non-roster C Austin Hedges to spring training. January 23, 2014 San Diego Padres invited non-roster C Austin Hedges to spring training. August 1, 2013 C Austin Hedges assigned to San Antonio Missions from Lake Elsinore Storm. July 31, 2013 Austin Hedges assigned to Lake Elsinore Storm. July 31, 2013 C Austin Hedges assigned to San Antonio Missions from Lake Elsinore Storm. July 15, 2013 Austin Hedges roster status changed by Lake Elsinore Storm. 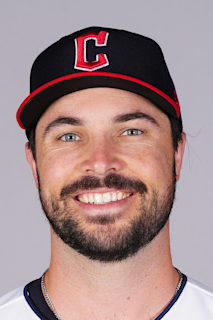 July 13, 2013 Lake Elsinore Storm placed C Austin Hedges on the temporarily inactive list. June 2, 2013 Lake Elsinore Storm activated C Austin Hedges from the 7-day disabled list. May 8, 2013 Lake Elsinore Storm placed C Austin Hedges on the 7-day disabled list retroactive to May 6, 2013. April 2, 2013 C Austin Hedges assigned to Lake Elsinore Storm from Fort Wayne TinCaps. January 7, 2013 San Diego Padres invited non-roster C Austin Hedges to spring training. April 26, 2012 Austin Hedges roster status changed by Fort Wayne TinCaps. April 16, 2012 Fort Wayne TinCaps placed C Austin Hedges on the 7-day disabled list. March 31, 2012 C Austin Hedges assigned to Fort Wayne TinCaps from Eugene Emeralds. March 22, 2012 C Austin Hedges assigned to San Diego Padres. August 30, 2011 Austin Hedges assigned to Eugene Emeralds from AZL Padres. August 23, 2011 Austin Hedges assigned to AZL Padres. August 15, 2011 San Diego Padres signed C Austin Hedges.